A nationwide offensive is to being launched against tens of thousands of homes not using authorised bin-collection companies, with TV licence-style inspectors to knock on doors with the threat of on-the-spot fines. Local authorities are passing by-laws throughout the State, ramping up their powers to act against households illegally disposing of waste, in what officials are calling the “endgame” for fly-tipping and rogue collectors. The new powers will allow for an “intelligence-gathering” system whereby licensed kerbside bin collection companies will pass on the Eircodes of paying customers to authorities. A database will then be used to pinpoint neighbours with no known waste-collection service. Hugh Coughlan, regional co-ordinator of the Eastern Midlands Regional Waste Office, expects about 80,000 households across Ireland will be identified, “a significant minority who are outside the system”. “It is unclear what they are doing with their waste,” he said. 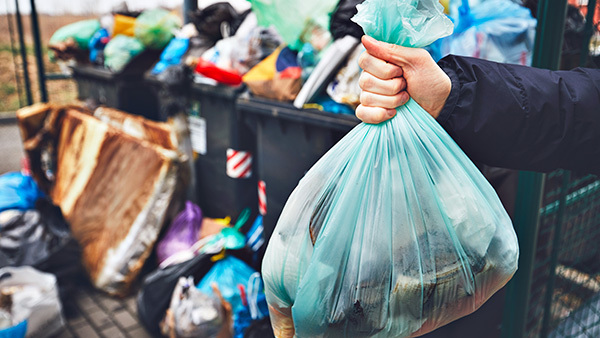 “We know there are quite a few people who use civic amenity sites, but people may also be using illegal operators – the ‘man in the van’ type operation – or dumping or burning their waste. 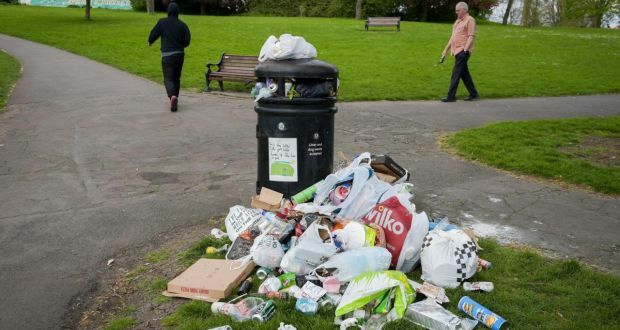 Households who claim to be using civic amenity facilities or who are sharing bins with family or neighbours will have to show documentary evidence. Those found not to have satisfactory waste arrangements face €75 fixed-penalty notices, with 21 days to pay to avoid a prosecution. Repeat offenders can be hit with fines of up to €2,500 if brought before the courts, while persistent contravention could be met with penalties of €500 for every day of the continued breach after conviction. Dublin City Council passed its waste management by-law in recent weeks. It is expected that the vast majority of other local authorities will have adopted the same powers by April this year. A radio and social media campaign warning about the clampdown is planned for the spring. “These by-laws are an endgame in terms of people who are not participating, not engaged with the system,” Mr Coughlan told The Irish Times. The new powers are to be co-ordinated by the country’s three regional waste authorities as part of a “national enforcement strategy”, he added. Households in Dublin not using recognised bin-collection companies could expect to get a knock on the door this year, ahead of an “overall national approach probably in 2020”. Mr Coughlan said it would be “similar” to the TV licence model, whereby inspectors identify houses with no contracts and call on them. 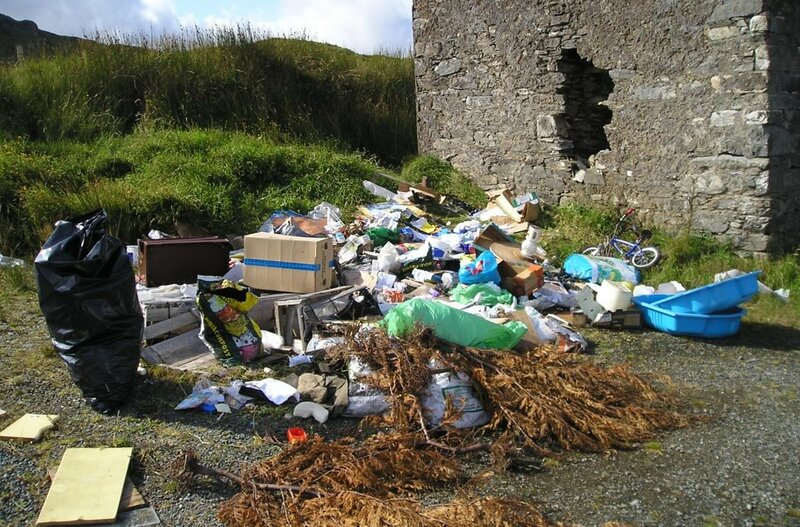 Minister for Climate Action and Environment Richard Bruton was asked in a recent parliamentary question what he was doing to curtail an increase in illegal dumping linked to a rising cost of domestic waste collection charges. Flat-rate fees for kerbside bin collections were phased out between 2017 and last autumn. Mr Bruton said a price-monitoring group within his department have considered 15 months of pricing data trends and that charges have remained “stable” in the “vast majority of cases to date”. A report on unauthorised activity in the waste sector is also being commissioned.